I've read and been told so many great things about titanium tornado necklaces and have been wanting to get one for my husband for a while. We used to use titanium bracelets and found those to actually work well for minor aches and pains. Don't know if anyone else has tried titanium products for minor pain relief, but they work for us. 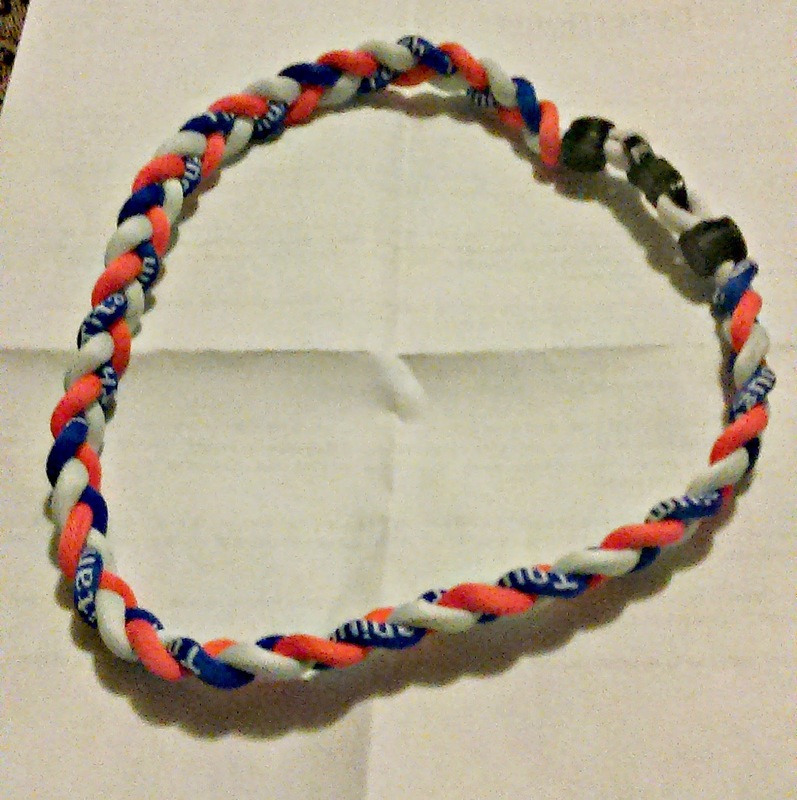 I picked this blue, orange, and white necklace for my husband since he is a huge Chicago Bears fan. When I gave this necklace to him, he loved it. He gets a lot of aches and pains from house remodeling and like I said above, we used to use the titanium bracelets (those are long gone though.) He has been wearing this necklace quite a bit since I gave it to him and he said that it works even better than the bracelets. I was happy to hear that since he doesn't like to really take pain killers and this is a good alternative. Not only that, he is pretty athletic and likes to wear it when he plays sports too. He thinks this is a great product and so do I. This product can be purchased on Amazon.